This weekend, I was back in my hometown of Vernon, BC attending a friend's wedding. 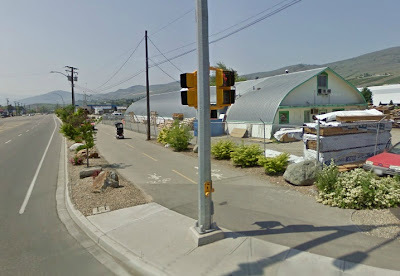 I haven't really spent much time in Vernon since I moved away in 2001 to the big city. I took a few pictures of the changes in downtown Vernon including some new office buildings and I also took some pictures of Vernon's mixed-use downtown. 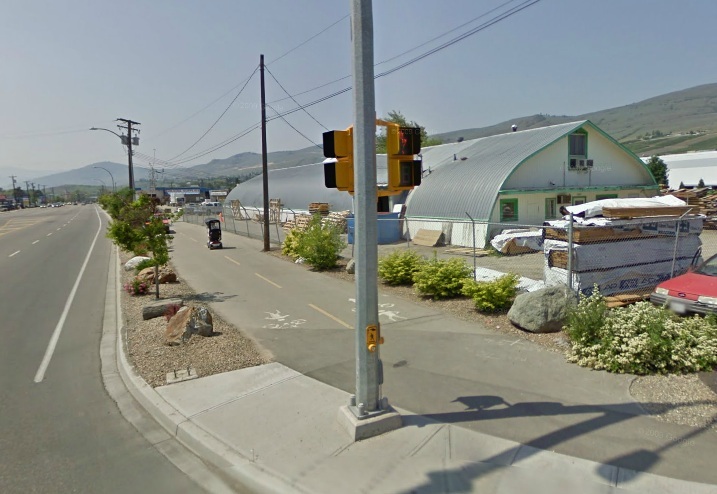 One of the exciting things that I saw in Vernon was the introduction of multi-use bike/walk corridors and tons of on-street bike lanes on exciting roads that didn't exist in 2001. It's amazing that a city of 38,895 can afford this as we've been told that building this kind of infrastructure in Langley with a population of 130,555 in unaffordable. They are putting in a bike path/green space across town along the railway tracks as well. This type of infrastructure should be built all along it. Right now it is just a shoulder and a ditch.